Thanks to new laws currently on the books in more than forty-two US states, small-scale food businesses can now be operated from home kitchens. These state laws, often referred to as “cottage food legislation” or “cottage food laws,” have nothing to do with cottage cheese and everything to do with allowing you to sell certain food products to your neighbors and community. By certain foods, the laws mean various “non-hazardous” food items, often defined as those that are high-acid, like pickles, or low-moisture, like breads. Because of this definition, some of the state cottage food laws have been nicknamed Pickle Bills, Cookie Bills or Bakery Bills on their journey to becoming laws where you live. While no one claims to have invented the term “cottage food,” its meaning is clear. A cottage is small and handcrafted, typically one story tall, no more, and designed with simplicity and modesty in mind. That definition forms the essence of these modern cottage food laws, enabling us to step away from the industrialized and factory-based food systems that engulf our world today toward a more authentic and tastier time filled with unique, homemade items from small food artisans. At their heart, today’s cottage food laws allow us to do much more than just launch individual businesses. They provide the catalyst for transporting our society back to an era when everyone bought locally from trusted neighbors. With most of the cottage food laws passed since 2008, states make it possible for anyone to earn income, follow a culinary passion or dream, and have some fun. How? By selling specific food items made in your home kitchen. From pies to pickles, wedding cakes to granola, preserves to decorated cookies, fledgling food entrepreneurs no longer need to sink more than fifty thousand dollars into a commercial kitchen or fork over fifty dollars an hour to rent a licensed facility to turn Aunt Emma’s biscotti recipe into a money-making dream business. We now have the freedom to earn. The new cottage food laws make home kitchen enterprises the next hot small business trend, accessible to anyone with a passion for food. So turn your ribbon-winning state fair strawberry rhubarb pie or “famous within your family” fudge into an enjoyable business that can earn you some money to pay off those credit card balances or save for a rainy day. With millions of Americans living paycheck to paycheck, never has it been easier to moonlight out of your kitchen to make ends meet. Perhaps you’ll even sell enough goodies to cover that family vacation you always wanted but could never afford. 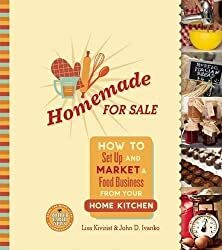 As the first authoritative guide to launching a successful food enterprise operated from your home kitchen, Homemade for Sale provides a clear roadmap to go from idea and recipe to final product. It offers specific strategies and resources for people running home-based food businesses, unlike other books that focus on commercial baking or food product businesses. As defined by the law, your business, at least when you start, will be a part-time, small-scale operation operated by you. What do Paula Dean, Martha Stewart and Mrs. Fields have in common? They all started their business from their home. Like you, they share a passion for food and chose careers in the kitchen that they love. Flash forward to today. Most of the forty-two states that have cottage food laws in place passed these after the Great Recession of 2007; they were viewed as a relatively low-cost option to spur entrepreneurial startups. With minimal, if any, inspections or registration processes, cottage food laws can be administered by state agencies for much less than the costly inspections required of full commercial operations. Because these laws are so new, little information is available regarding the number of cottage food start-ups and their sales. However, during the first year that California’s law was in place, more than 1,200 new businesses registered. Arizona is home to more than 2,400 cottage food operators. Data on other states is far more elusive. Ranging in size, sales and product offerings, these businesses would not have legitimately existed be it not for the cottage food laws passed. Many food entrepreneurs are drawn to the cottage food industry because they love cooking and love the autonomy that comes with minding their own business and being their own boss. Perhaps you share this perspective. Are you tired of punching the clock and would rather punch some dough? As it turns out, budding home kitchen entrepreneurs come in many persuasions and myriad motivations. Which one best defines you? • Dream-catcher, eager to fulfill a lifelong dream of running a small food enterprise. • Home baker, possibly with seasonal specialty items you want to share with your community. • Stay-at-home mom wanting to earn extra income while keeping an eye on the kids. • Someone with food sensitivities or allergies, who, after years of struggle, has found delicious recipes that work for you and might work for others,too. 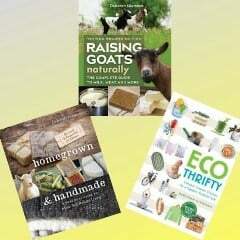 • Dedicated locavore foodie, wanting to make a difference in the local food movement beyond your shopping habits. • Specialty cake and wedding cake maker looking for a chance to share your artistic talent and creative flair. 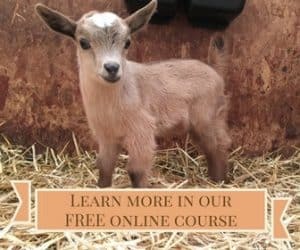 • Farmer looking to diversify your business by offering bread and other items at farmers’ markets to boost your revenue. • Economic survivalist who has found that Plan B, despite a college degree, is the new Plan A. • Career changer from breadwinner to bread baker, looking to test your food-based dream before you quit your day job. • Someone between jobs and searching for a quick way to earn some cash to pay the bills. As we talked with cottage food business owners across the continent, we discovered that launching a small food enterprise could be for anyone and everyone. While our non-scientific sample tended to skew female, there are plenty of men too, and food entrepreneurs are both young and old and come from various ethnic or socioeconomic backgrounds. They live in urban, suburban and rural places. All share a passion for the culinary arts. Starting a food-based enterprise from your kitchen is an incredible opportunity, whether it resulted from politicians feeling the heat to do something as a result of the financial fallout from the Great Recession, was spawned by the “buy local” movement or came about because of pressure from the 99 percent who want to sell items directly to their neighbors and make a little money without wading through government regulations. To help spur and support home-based food enterprises, many state governments decided to cut the excessive red tape and allow people to get to work and earn some money by becoming small business owners. In other words, they allowed Americans to be what Americans have always been: enterprising, community-focused and hard-working. Forget the unemployment lines, food pantries or minimum-wage McJobs. Make way for the muffin makers! Perhaps encouraging cottage food businesses makes plain common sense. That’s the way things were done in America for more than a century: neighbors selling to neighbors; fellow parishioners selling to fellow parishioners; local businesses selling to local residents. It’s how business was done before the age of cheap oil, industrialization and globalization. by Lisa Kivirist and John D. Ivanko. Enter our giveaway that started on Monday, and you could win a copy for yourself.